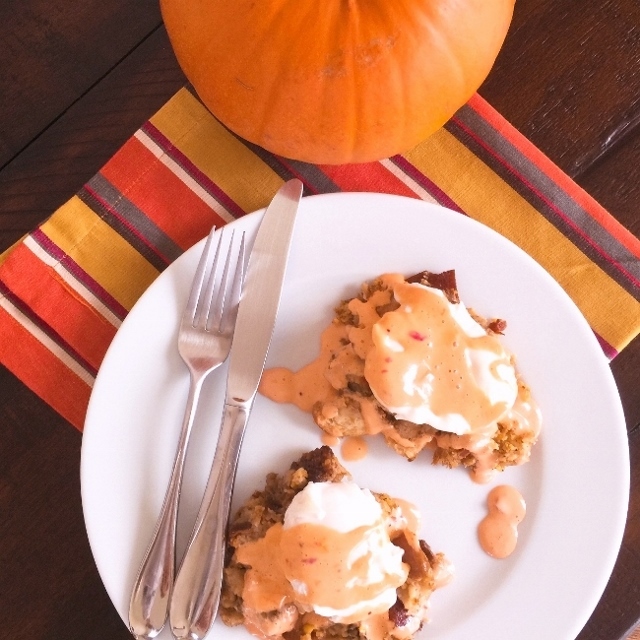 Turkey-Day Dressing Eggs Benedict with Cranberry Chipotle Hollandaise - Recipe! - Live. Love. Laugh. Food. Eggs Benedict is a brunch favorite and after Thanksgiving it is even better with all the leftovers. Using day-old dressing as toast or bread underneath poached eggs is a real treasure because it’s already loaded with herbs and spices. 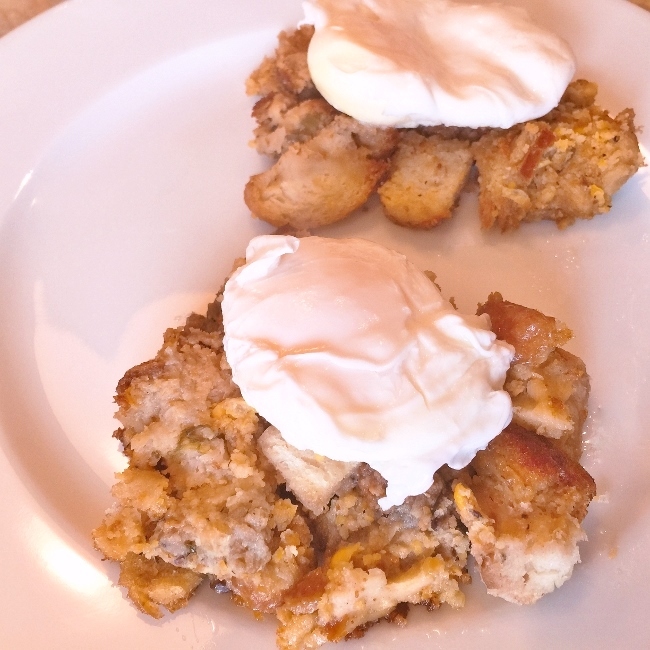 The combination of fresh eggs melting over stuffing is decadently aromatic – this is definitely one breakfast you will wish you could make year round. 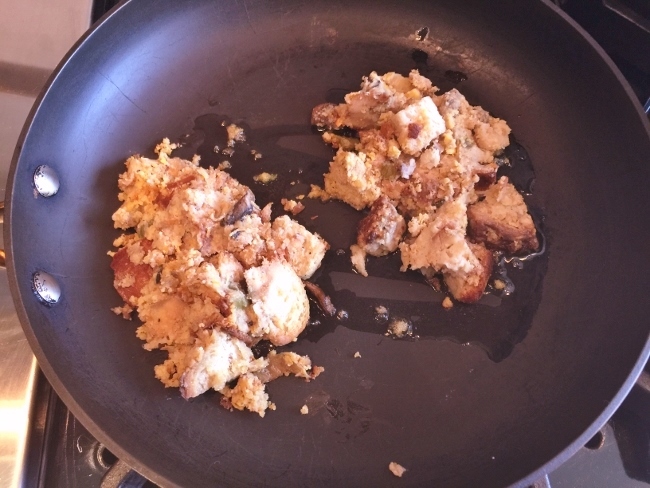 To prepare, create small nests with the stuffing in a skillet and allow them to crisp up on the bottom and warm throughout. Poach a few eggs in a simmering water bath and whip up a batch of my tangy hollandaise with the leftover cranberry sauce and a spoonful of chipotle sauce. This dish is so good that it will make those turkey-day leftovers even more memorable the second or third time around. 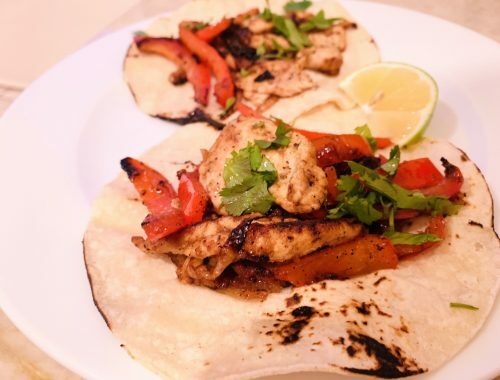 So whip up another meal using those leftovers before the weekend celebration ends. This egg dish could also be served for dinner – one for all the breakfast lovers in the house. 1. In a food processor, add 2 egg yolks and lemon juice. 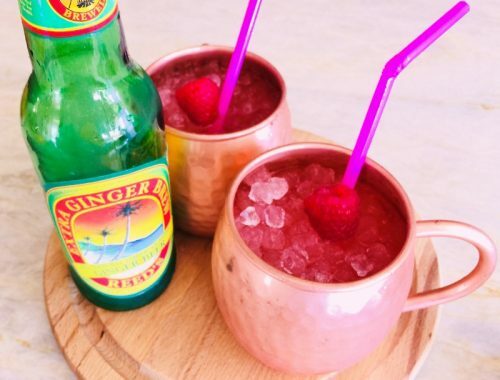 Blend on high to combine. While blender is running, add melted butter. Mixture should thicken, within 30 seconds. 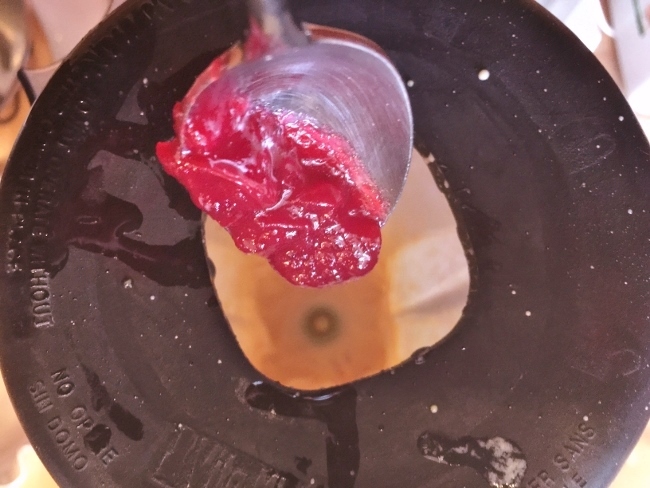 Add cranberry and chipotle sauce to blender and continue to blend for 30 more seconds. Set aside. 2. In a large 3-inch deep saute pan, fill with water and heat until simmering. 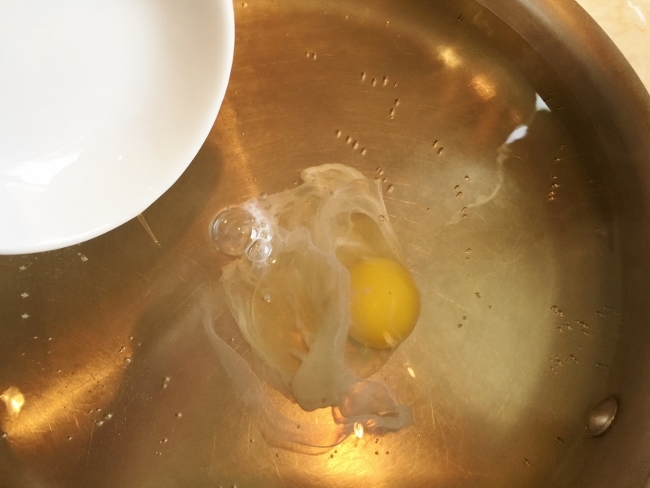 Add 2 teaspoons of vinegar to water and add eggs 1 at a time. Cook for 2-3 minutes or until whites begin to harden. 3. In another skillet, add 2 teaspoons olive oil and place over medium heat. 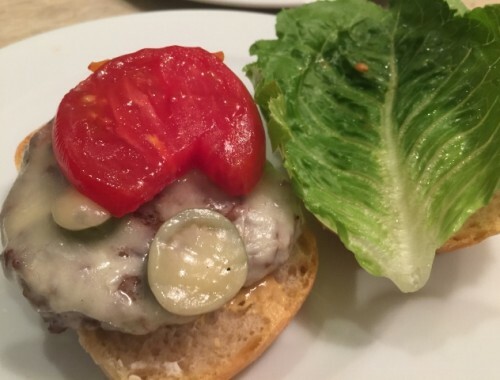 Add dressing to skillet and shape into nests or rounds. Place a lid over pan and cook for 3 minutes, or until crispy on bottom and warm on top. 4. Place two nests on each plate and top with a poached egg. 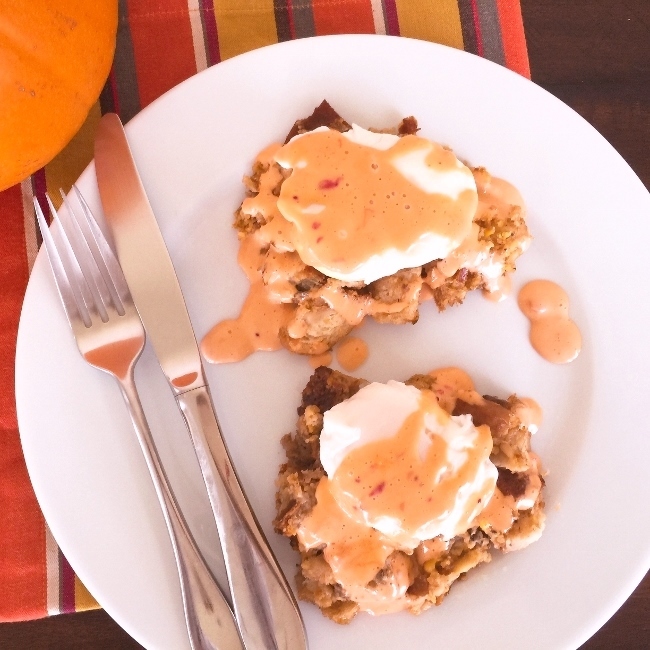 Spoon Cranberry Chipotle Hollandaise over top and serve. Enjoy! Best Eggs Benedict Recipecooking with Gena BellEgg Benedict RecipesEgg recipesHoliday Egg RecipesHow to Make Eggs BenedictPost Holiday CookingThanksgiving Leftovers RecipesTurkey-Day Dressing Eggs Benedict with Cranberry Chipotle Hollandaise - Recipe!